In early 1998, the Salt Lake City Airport Authority launched a $994 million expansion program to respond to increasing passenger activity levels and to prepare its airport for the next millennium. The expansion was to be phased out over the next 8 years. 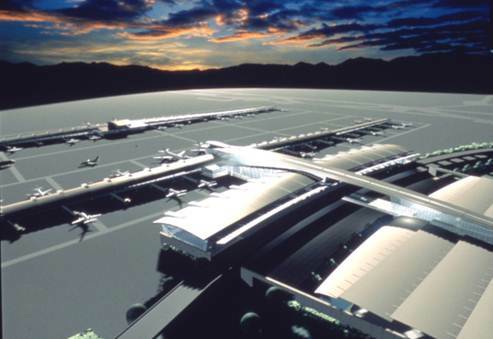 Phase 1 was to include a new four-level terminal, two concourses (north and south), a three-level roadway system, a Ground Transportation Center, and a new parking facility. 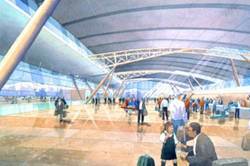 Phase II was to comprise further incremental expansion to the concourses, terminal and parking structure as future usage required. 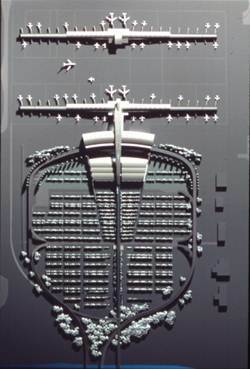 A departure from the existing finger-like pier system, with concourses extending from a central terminal hub, the new airport utilized a super concourse approach, with a unit terminal servicing remote concourses. 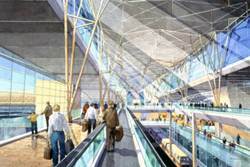 The terminal building encompassed 830,000 square feet and provided travelers with efficient circulation. Gerhard Pichel, GPA president, was the project principal on this project while employed with another firm. The project was put on hold due to funding issues.